A mother and daughter are forced to live apart after the Filipina mother faces deportation from the United Kingdom due to carrying the wrong visa. According to a report posted on BBC’s website, a Filipina named Mae Draper who has been married to her Bristol husband of twenty years, Kevin Draper, may be forced to be deported for carrying a visitor visa instead of a spousal visa. The married couple had wed each other way back in the 1990s and spent six months in Bristol before moving to United Arab Emirates, specifically in Dubai. Kevin, along with their daughter Rhian, moved to England some three years ago while Mae opted to visit her father in the Philippines. Her husband and daughter expected Mae to move in to England within a few months after them but it took her longer than planned. Mae was only able to get a visa to come to the UK after a year and a half had passed. Unfortunately, that visa she got turned out to be not the one they were expecting. Kevin believed that his wife has not been properly given advice on what type of visa to get. As of recent times, Mae is told that she must leave the UK to apply for a spousal visa by the UK’s Home Office. A Home Office spokesperson said in a statement that the immigration rules were made clear that it is impossible for a visitor to switch his visa to a spouse visa. Therefore, she must leave the country and re-apply. 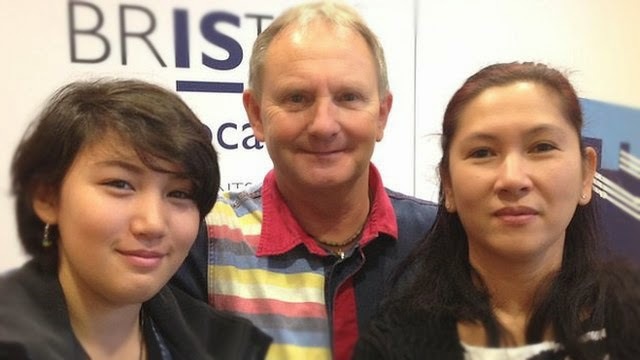 The family said that Mae will only be allowed to go back to the UK to see her husband and their daughter after a wait that could take up to two years.